The White Hart is a local pub dedicated to it customers, and probably still the cheapest in the area. 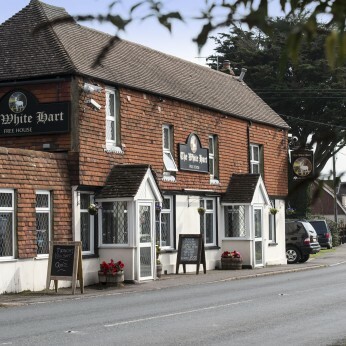 The White Hart is run by Matthew & Faye Dargan and Tony & Jane Brown, we are always very welcoming, and listen to our customers. We have a fabulous Blue Band, Mangoquigi playing live from 2.30-5.30 . Come and see us over the Easter Weekend. Book a table for one of delicious meals or just pop in for a drink.